Some of you might remember when I posted on Twitter asking if anyone tried this line of honey peels that are on the market. I was completely sold when the saleswoman did a demonstration on me. However, that particular product was selling for a whopping AUD 140, so though it took some convincing from the more-grounded-boyfriend, I gave it a pass. Instead, I took to eBay and found this little gem. It's not the exact same type as the one I was looking for, which disappointed me at first. But since I bought it already, I decided to continue using it. For 2 months now, I've used this twice a week. It comes with a little spoon, and you're supposed to use it to stir the contents in the jar before applying it onto your face. Unlike other masks, you're supposed to rub this on into your skin. It contains sugar that helps exfoliate your skin, and honey which imparts a plethora of different benefits. Immediately after I first started using this, my skin felt much softer and smoother. 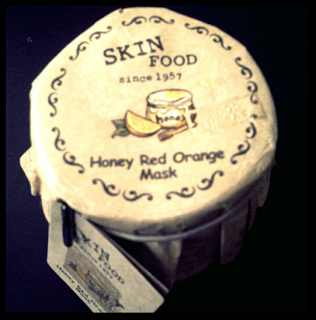 I didn't need any moisturizing after applying this mask - the honey was hydrating enough. I began to notice a real difference after the third week. My skin really smoothed itself out! Less bumps on my forehead, less gunk in my pore strips (gross, I know), and less impurities drawn out after I use a clay mask. Products have started to sink into my skin much faster and easier too. Love it! I bought this for AUD 18 off eBay, free shipping. For the price, I definitely recommend it!